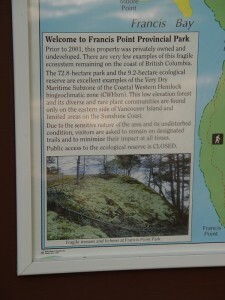 If you read my blog post ” Take A Hike – Part 1 ” a while back, then you already know that my husband and I spend a lot of our free time hiking up here on the Sunshine Coast of B.C. 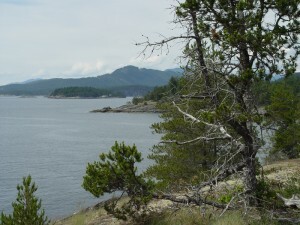 That particular post was about one of our favourite hiking spots – Smuggler Cove, which we have probably been to more times than any other place up here, so far. There is another place we have been to quite a few times, but I will write another post about that one some other time. 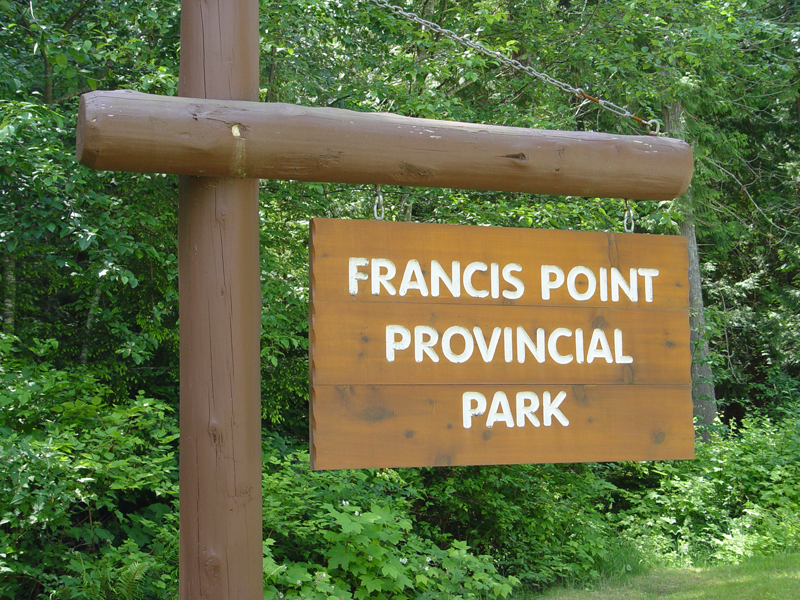 Today, I want to discuss the newest place we have discovered for hiking – Francis Point. The drive there is probably another 10 – 15 minutes past Smuggler Cove, but it was sure worth it ! The start of this hike is much like many others around here – fairly flat, and you head right into the forest. Going in, I had no idea that this was going to be a very different hike than I was used to. 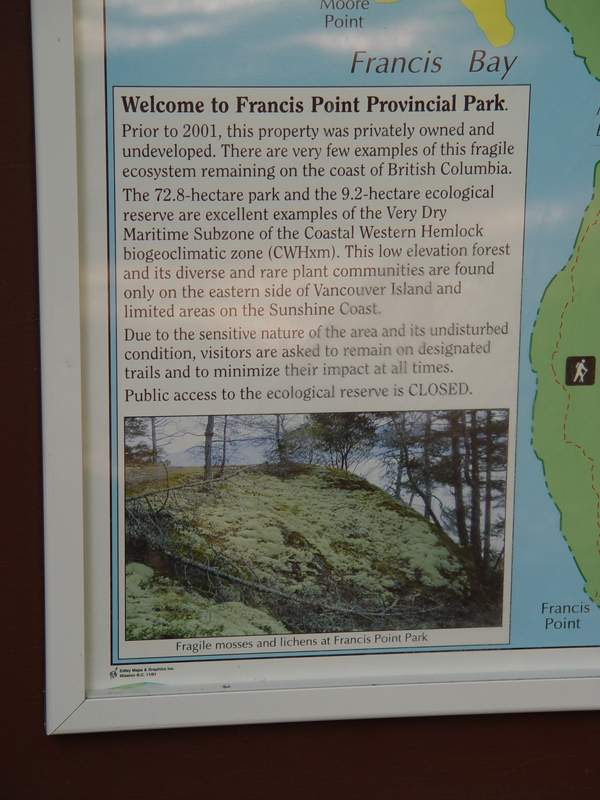 This is an area that has had relatively little human contact – there is even a section that the public is not allowed to go in, for the sake of preservation of delicate mosses and lichens etc. 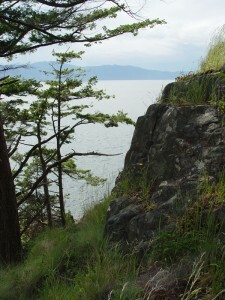 Not too far into the hike, you come out of the trees, and are basically walking along a cliff overlooking the water. I love being in the warm sun, so this was awesome for me. I am used to spending most of our time hiking under the cover of tall trees ( and I often get cold because of that fact ), so this was both a surprise, and a treat for me. 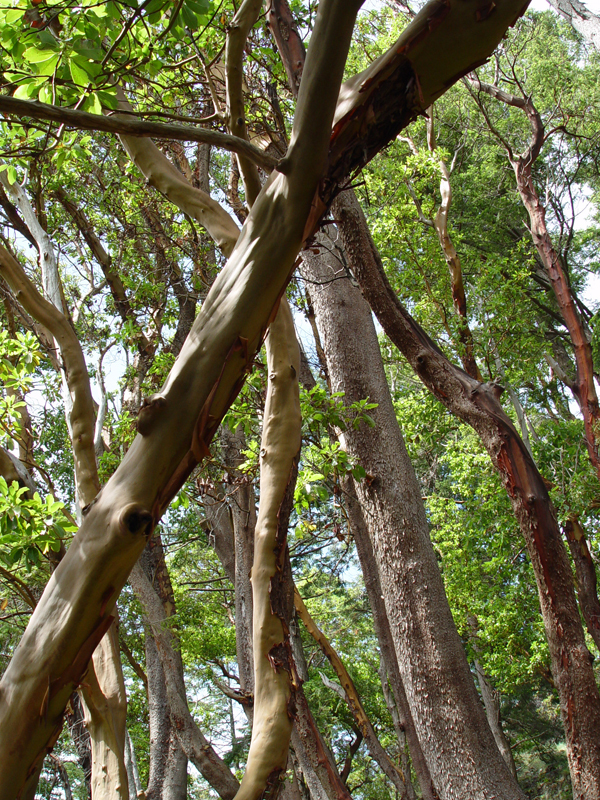 Since moving to the Coast, one of my newest favourite trees is the Arbutus. I have seen quite a few on various other hikes, most of them medium in size, and generally they have been on their own. 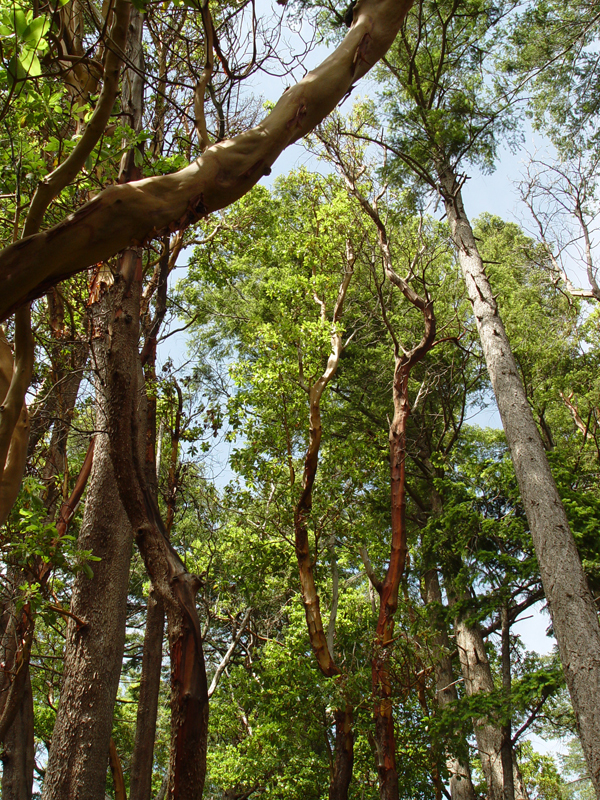 On this hike, I saw some taller Arbutus trees, and they were grouped together more. 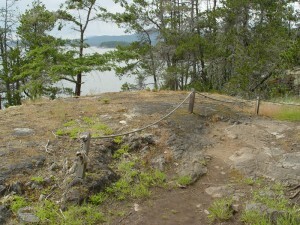 Most of the trail is pretty straight – forward, and not too difficult to navigate. There are some tricky spots which require a bit of fancy footwork, and a hand from a friend, but nothing too bad. Sections of the pathway have little wooden posts and ropes, to remind everyone to stick to the trail – there are delicate plants that need to be spared being destroyed by a careless mis-step. Anything you want to photograph is close enough that you can do so with a decent lens – there is no need to stray from the marked path. My favourite part of the hike was when we got to near the end. You pass a little ” lighthouse ” ( very small ) and a bit later, you get to the end of where you had been going straight, and have to turn to the left. This is where the giant Arbutus Trees live – many growing almost sideways, bent by the force of the wind on the unprotected cliff, overlooking the water. 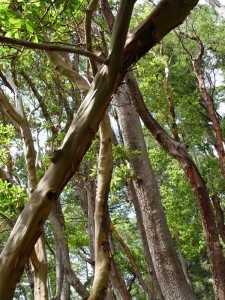 These were by far the largest Arbutus I had ever seen. They made me think of one of my dearest friends, as they are her very favourite tree. ( I hope she smiles as she reads this ) I hope one day to show them to her. Once you get to the big Arbutus trees, the trail continues, and gets much trickier. It appeared to be the most logical place to stop and turn around, as it was late afternoon, and we had a long hike back out. 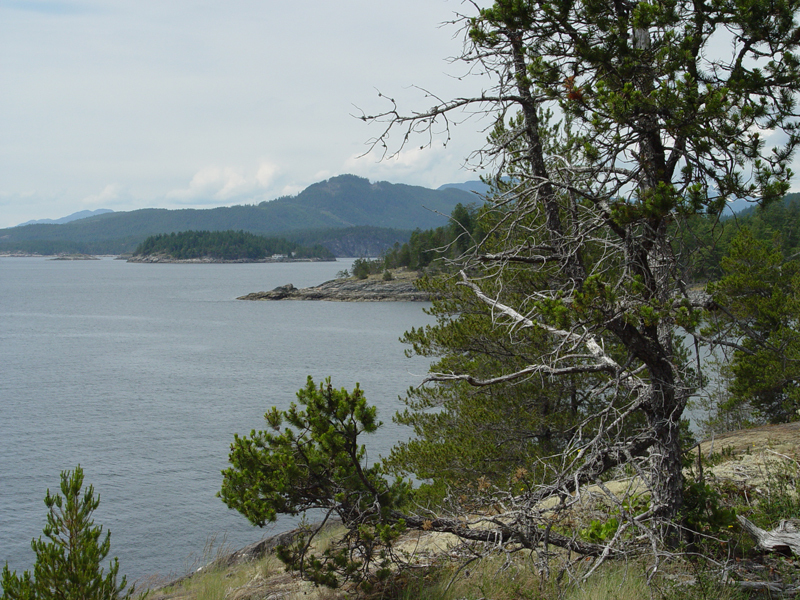 We stood there at the end for a while, marvelling at the size and beauty of these incredible trees, and admiring the view of the water from the rugged cliff. It is a good thing I brought my newly acquired backpack – we had been out there for a long time, and needed to find a place to stop, and have a snack. We picked a sunny spot on some smooth flat rocks, perched on them, had some cashews and water, and enjoyed the view. I usually tend to like to go to familiar places, but am very glad my husband suggested we try hiking at Francis Point. It is definitely a hike I would like to do again, and I would love to take friends there when they come and visit. I think it may just be my new favourite place to hike.